Before Detective Salvo Montalbano became the seasoned and mature chief detective, he was just Salvo, new to being a police chief. In this prequel series, watch the genesis of the friendships, the rivalries and the romance as the unforgettable people of Sicily become the crime-solving team we have come to know and love. Each combo pack includes 6 episodes, 11 hrs, 6 DVDs. Italian with English subtitles. 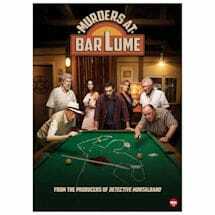 A promotion brings young Detective Salvo Montalbano from a small mountain village to the city of Vigata. There he finds himself supervising a group of agents that include Carmine Fazio, many years his senior, and quirky Sicilian Catarella. Together they investigate a murder that's been pinned on a young woman who may be smarter and angrier than anyone knows. A shot fired from outside a hotel kills a guest in his room on New Year's Eve. Montalbano learns that rooms were switched just before the shooting, which changes the tenor of the investigation. His work isn't made any easier when Dr. Pasquano from forensics arrives to check out the body, without giving much respect or deference to the young police chief. 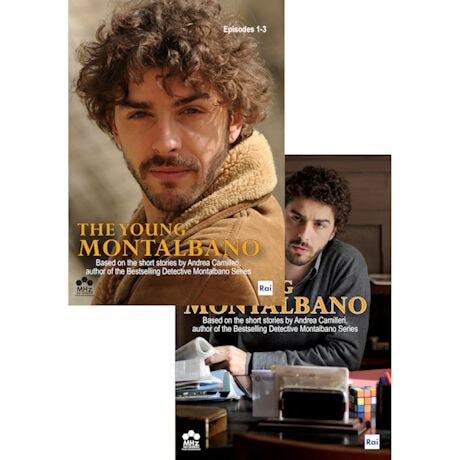 Montalbano finds himself threatened by the arrival of Deputy Chief Mimi Augello. 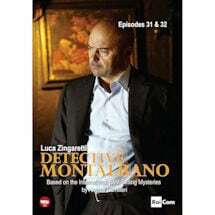 They investigate a kidnapping case together while Montalbano secretly wonders whether his new colleague is friend or foe. Together they also meet a friend of the victimized family, the beautiful Genoese architect, Livia Burlando. 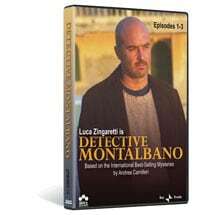 Montalbano investigates the murder of a loan shark, for which there is initially no shortage of suspects, but the later discovery of another body nearby complicates matters. Meanwhile someone is putting up posters around Vigàta asking the inhabitants to vote in a referendum about the reputation of a politician's wife. Montalbano receives a letter informing him of the accidental death of a worker at a construction site - posted before the man died. It turns out to be the latest in a series of similar "accidents", but he must act unofficially as the case is under the jurisdiction of the Carabinieri. Also, after someone shot at the noticeboard containing announcements of upcoming weddings, he must find out who is trying to prevent a marriage and why. Montalbano investigates the slaying of a wealthy man whose wastrel son seems like the obvious suspect, and a ritualistic series of animal killings leads him to conclude that someone is planning a murder.